A botanical illustration of a branch with leaves and apricots. 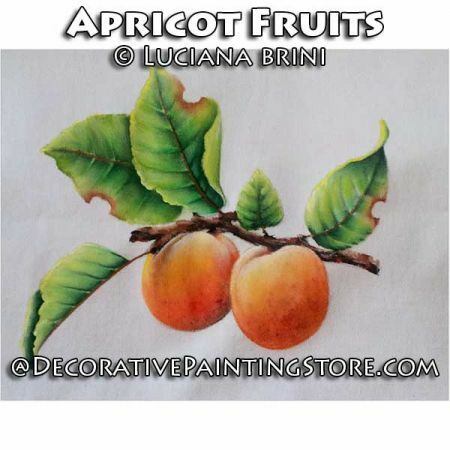 Drawings included for a branch with 2 or 3 apricots. Painted on a fabric surface of your choice. Pattern includes photo,step-by-step instructions, patterns to trace.